Despite getting slammeed coming out ofthe gate, MICROMILLION, the first starter for Micromange, got up for a strong second in her first start. She beat Tesorina the much touted American Pharoah first American starter. As the wire approached, Tesorina could not hold off another Repole/Pletcher runner, Micromillion, the first North American starter for Micromanage. Micromillion grabbed second by 1 1/4 lengths as Tesorina, much like her famed sire, went down to defeat in her career debut. Off the favorite, AMERICA'S PRINCE was already ahead by 5 at the quarter and extended his lead to 9 at the wire! The 3-year-old gelding raced a mile at Laurel. He is trained by Dale Capuano for owner Louis J. Ulman. Newly turned 3-year-old colt LONDON HOUSE exploded to the wire to graduate by 15 1/4 lengths racing 7 furlongs at Aqueduct. Running back, this time shortening to 6 furlongs, he wired the field again to win by an easy 5 plus lengths With on the board finishes, he has already earned over $80,000. The colt is owned by KEM Stables and was bred by Jerry Bilinski (NY). He is trained by Steven M. Asmussen. 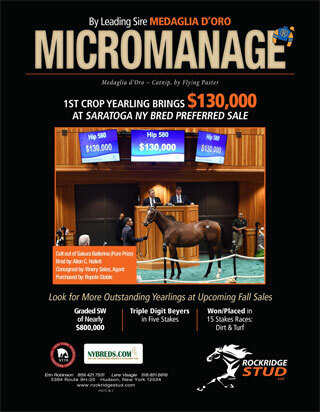 Sales history: $20,000 Ylg '17 SARAUG; $110,000 2yo '18 EASMAY. 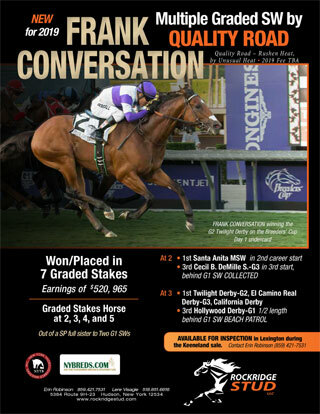 Newly turned 3 year old colt LONDON HOUSE exploded to the wire to become his sire's ninth winner. With on the board finishes , he has already earned $45,450. The colt is owned by KEM Stables and was bred by Jerry Bilinski (NY). He is trained by Steven M. Asmussen. 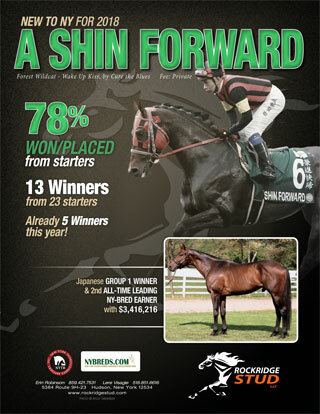 A SHIN FORWARD gets winner in Japan. LORD ACE broke his maiden at Kyoto for owner Lord Horse Club and trainer Takeshi Matsushita. Lord Ace horse is a thoroughbred born in Japan in 2015. Race horse Lord Ace is by A Shin Forward (USA) out of A Shin Panagia (JPN). 5-year-old gelding RIFF RAFF is anything but riff raff. He graduated by 7 3/4 lengths going a mile at Belmont and also then advanced through his allowance conditions. Today he won racing 6 1/2 furlongs at Churchill Downs. He was claimed out of this race and he has been claimed oftenand been in several barns. He has always made money for his connections and earned over $215,000. Two-year-old filly TROLL CROSSING drove clear from second to win in her first start. She sprinted 5 1/2 furlongs at Finger Lakes for her owner and trainer Paul W. Barrow. 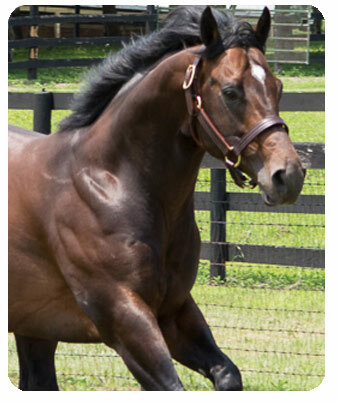 War Dancer (2010 WAR FRONT / DEED I DO) will stand in Saratoga, New York, for the 2019 season as part of the Irish Hill & Dutchess Views Stallions roster at Irish Hill Century Farm. War Dancer, with earnings of $1,068,927, won or placed in nine Graded Stakes, including the $500,000 Virginia Derby. 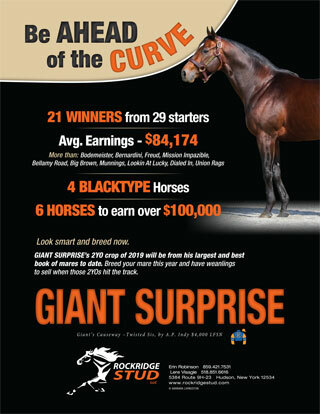 The millionaire son of International super sire, War Front, will stand for $7,500 LFSN. 2-year-old GIMME SOME TRUTH broke his maiden in wire to wire fashion at Laurel racing 6 furlongs on the dirt. He overcame some bumps and an inside position to clear and go on for a 3/4 length victory. 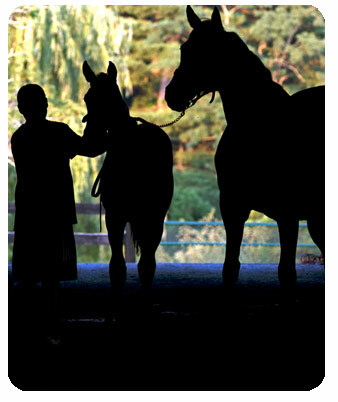 He is owned by Jacquelyn Komlo,and Tanterra Stables and trained by Trainer: William R. Komlo. Now she is stakes palced ! 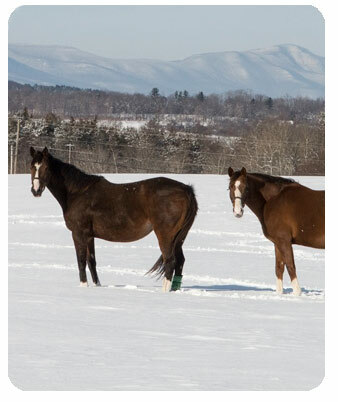 DARK EMPRESS ran second in the West Virginia Division Of Tourism S. at CharlesTown racing 7 furlongs Earlier this spring, DARK EMPRESS went off the favorite in a 7 furlong MSW at Charles Town and had no trouble taking the lead and winning off by over 5 lengths. Running back again at Charles Town, she added her first allowance condition to her resume for her owner Shuler Stables LLC. Back in her second allowance condition, she challenged in the lane and drew off confidently. This filly has not been off the board in 9 starts. She is trained by Gerald A. Coker, Jr. Earlier this spring, DARK EMPRESS went off the favorite in a 7 furlong MSW at Charles Town and had no trouble taking the lead and winning off by over 5 lengths. Running back again at Charles Town, she added her first allowance condition to her resume for her owner Shuler Stables LLC. Back in her second allowance condition, she challenged in the lane and drew off confidently. This filly has not been off the board in 9 starts. She is trained by Gerald A. Coker, Jr.
NJ Bred, GUINNESS SPICE broke maiden at Monmouth Park for owner/breeder New Spice Stable LLC. Today racing in the $100,00 New Castle Stakes at Delaware Park, he finished 3rd and added his first black type. Recently going 6 furlongs on the dirt also at Delaware Park, the 5-year-old gelding annexed his 3rd win driving clear in the stretch to win by 2 lengths. He is trained by Doug Nunn and has earned over $82,000. At Charles Town,sprinting 4 1/2 furlongs, . HONORABLE LILLY zipped out of the gate and was never challenged, She finished 2 1/4 lengths ahead in her first lifetime start, The filly is owned by Ruth Von Wiesenthal;and s bred by Snowberry Farm LLC & Rockridge Stud LLC (NY). She is trained by James M. Day. Sprinting at Finger Lakes in her first lifetime start, OH DILLY sailed to the head of the pack and romped to a 14 1/2 length win! 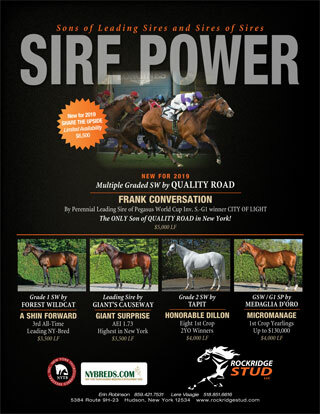 She becomes the fourth winner for her freshman sire. What a thrill for owner/trainer Linda Dixon. Off the favorite, THANK YOU SO MUCH came from off the pace and won going away going a mile at Delaware Park in a race originally scheduled for 7 1/2 furlongs on the turf. The 3-year old gelding is owned by Toby Sheets ZBS Thoroughbreds and trained by Steve Asmussen. Owner/trainer Jeremiah C. Englehart sent 2-year-old filly L.A. PAGE out for her first start and she "nailed it". Racing 6 furlongs at Belmont over a less than perfect track, she overcame an awkward start to overtake the field and win going away, Exciting! NJ Bred, GUINNESS SPICE broke maiden at Monmouth Park for owner/breeder New Spice Stable LLC. Today racing 6 furlongs on the dirt at Delaware Park, the 5-year-old gelding annexed his 3rd win driving clear in the stretch to win by 2 lengths. He is trained by Doug Nunn and has earned over $71,000. Racing 1 1/16 on the turf, 2-year-old DASHING DAY won his second start, He was sent right to the front and led from the get-go to wire the field with ease and win by almost 4 lengths. LILY'S SECRET by D'FUNNYBONE wins her third! LILY'S SECRET scored her third win - this one going her favorite distance of 6 1/2 furlongs on the all-weather track at Presque Isle. She had to work for this one and won by a neck. 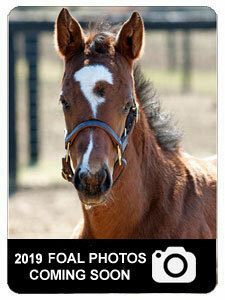 The four-year-old filly is owned by John E. Vazquez and was bred by James Taylor & Deborah Bolstad (NY). She is now trained by Bernard Kleine. The filly has earned over $61.000. EMPEROR'S GOLD overcame a hop at the start to make up ground to gain steadily and in by 1 3/4 lengths. The three-year-old colt is owned and trained by Charlton Baker. 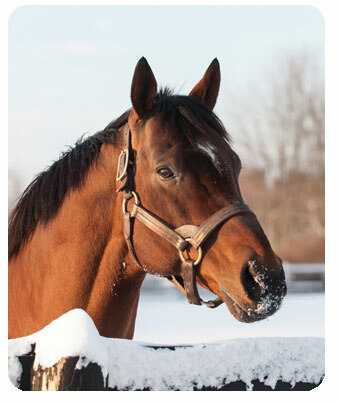 He was bred by:Sugar Maple Farm & H. Lewis Rapaport. NY Bred TRUE DILIGENCE is far from home, but that did not stop him running second first out and winning easily in his next start for owner/trainer Shelley Brown. He sprinted 5 furlongs at Assiniboia Downs and won by over 2 lengths..
WEGETSDAMUNNYS won her first out followed in her second start by a stakes placing in the Shesastonecoldfox S at Finger Lakes. Back for her 2018 campaign, she did not hit the board in the NY Stallion Stakes at Aqueduct but won her 3rd race in an off the turf allowance race at Belmont. Racing today n the NEW YORK STALLION SERIES S at Saratoga, she lost by a whisker but added more black type. The filly is owned by Madaket Stables LLC, Rising Graph Stable, J Englehart, J..and is trained by her co-owner Jeremiah C. Englehart. 5 year old gelding RIFF RAFF is anything but riff raff. He graduated by 7 3/4 lengths going mile at Belmont and also then advanced through his allowance conditions. Today running 6 1/2 furlongs at Saratoga in an AOC, he was rated and then cleared the field for the win by 2 1/2 lengths. RIFF RAFFwas claimed out the race by R A Hill Stable and George Weaver trainer. We wish them good luck with the new horse in their barn. For his prior owners, he earned over $194,000. HAZEN'S NOTCH has started 20 times and been 2nd or 3rd in 19 of them. Today was his winning day and he came 4 wide and drew clear for the MSW win at Finger Lakes. Trained by Jonathan B. Buckley, he is a homebred for Windylea Farm and has earned them already over $81,000. HONORABLE DILLON GETS 1ST 2 year old winner! AWESOME DEBATE a homebred for Charlton Baker who is also trained by her owner/breeder, had no trouble at all winning her first start. Sprinting 5 furlongs on the dirt at Finger Lakes, he vied for the lead, cleared and won comfortably by 2 lengths. The gray or roan filly is the first winner for freshman sire HONORABLE DILLON. REASON TO SOAR was gaining on the tiring leader in the stretch and checked in second, but was placed 5th due to interference entering the stretch. Before this, he had been victorious in his last 4 starts, He is owned by West Point Thoroughbreds and trained George Weaver. CONQUEST FALCON, off the favorite racing 1 1/16 on the Laurel turf course did not disappoint winning by a length. He was claimed out of the race and we wish his new connections the best of racing luck. Also at Laurel. the wonderfully named LOST ON THE STAIRS sprinted to her 4th win in 8 starts. She also has a second and 2 thirds. She is owned by Herman M Braude and trained by John.Robb . PECULIAR SENSATION wins in allowance company at Belmont for his new owners Jesse Iglesias and Thomas Viverito, Claimed two back by trainer Greg DePrima, PECULIAR SENSATION liked the feel of the grass and a longer distance and won by a nose. He has earned over $137,000. Trained for Adonai Racing Stable by Ilmar Loaiza, 3-year-old colt I'M NOT FUNNY angled wide and cleared the field to graduate sprinting 5 1/2 furlongs at Finger Lakes. When BEST SURPRISE figured out the game in his third start, he dueled and then left his rivals far behind, winning by 10 lengths going 1 mile and 70 on the inner track at Aqueduct. Today shipping to Monmouth Park and racing a mile on the turf, he went off the favorite and rallied to get the job done and win for the second time. 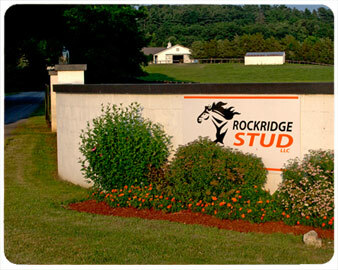 He is owned by Repole Stable and is now trained by Bruce Levine. REASON TO SOAR has now made it 3 in a row in allowance company at Gulfstream for owner West Point Thoroughbreds and trainer George Weaver. Today he found a tiny seam, slipped through and nailed them at the wire, He won his 2018 debut and underlined that victory with another win in his next out. As a 3-year-old, REASON TO SOAR broke his maiden right off the bat with a huge come from behind rally. Next, he ran third in the Ocala Breeders' Sales Sophomore Stakes at Tampa Bay, and then back in NY, he added another third in the New York Stallion Stakes at Aqueduct. The 4-year-old gelding has earned over $150,000. and Frank Fiumera and is trained by her co-owner Jeffrey S. Englehart. WEGETSDAMUNNYS won her first out followed in her second start by a stakes placing in the Shesastonecoldfox S at Finger Lakes. Back for her 2018 campaign, she did not hit the board in the NY Stallion Stakes at Aqueduct, but won her 3rd race today in an off the turf allowance race at Belmont. The filly is owned by Madaket Stables LLC, Rising Graph Stable, J Englehart, J..and is trained by her co-owner Jeremiah C. Englehart. The 3-year-old filly is winning at a 50% clip. REASON TO SOAR was back with a vengeance in his 2018 debut with a win in the first start of his 4-year-old campaign. He underlined that victory with another win to make it 2 in a row. Owned by West Point REASON TO SOAR broke his maiden right off the bat with a huge come from behind rally. Next, he ran third in the Ocala Breeders' Sales Sophomore Stakes at Tampa Bay, and then back in NY, he added another third in the New York Stallion Stakes at Aqueduct. Today at Gulfstream, he rated and then rallied to clear the field to win his second allowance condition in the last few jumps. The 4-year-old gelding is trained by George Weaver. 2 year old Brazilian filly ADAGA DO REI ( translate Dagger of the King) easily won the G1 Grande Premio Joao Cecilio Ferraz at Cidade Jardim (BRZ). This is a race for 2 year old fillies at 7 1/2 fur;omgs on the turf. The filly is out of Ke Secret (Punk), bred by Haras Ponta Porã Haras and owned by of Haras do Morro and Versiani.. SHADOW SURPRISE, needed one race to figure it all out and in his second start he took off like a slingshot and wired the field easily to draw off and win in hand by 9 1/.2 lengths. He ended 2017 with 2 back to back wins and started 2108 with another. This time he wired the field at Finger Lakes sprinting 4 1/2 furlongs He is trained and part-owned by Michael A. LeCesse Mic Duff Stables LLC and was bred by Chad McNamara & Tina McNamara.The 4 year-old gelding has earned over $46,000. Racing for trainer Paulina Sinnefia and owners Nicholas Panopoulos and Sotirios Sakatis, MOMMA SURPRISE went off the favorite and did not surprise as she won handily by 3 1/4 lengths. She was sprinting 5 1/2 furlongs at Penn National. It was her second win in the last 2 months. REASON TO SOAR is back with a vengeance in his 2018 debut! Owned by West Point REASON TO SOAR broke his maiden right off the bat with a huge come from behind rally. Next, he ran third in the Ocala Breeders' Sales Sophomore Stakes at Tampa Bay, and then back in NY, he added another third in the New York Stallion Stakes at Aqueduct. Today at Gulfstream, he rated, got the lead at the quarter pole and held it to win by a length to win his first allowance condition. The 4-year-old gelding is trained by George Weaver. DARK EMPRESS has not been off the board in 3 prior starts and went off the favorite in a 7 furlong MSW at Charle Town. Owned by her trainer Donald W. Shuler, she had no trouble taking the lead and winning off by over 5 lengths. MADELINE'S HOPE by SOARING EMPIRE broke her maiden in a romp by over 9 lengths racing 7 furlongs at Aqueduct for owner/breeder W Vee Stable She is trained by Robert Barbara. MOMMA SURPRISE added a second win to her resume. She raced 6 furlongs at Penn National for owners Nicholas Panopoulos and Sotirios Sakatis. She is trained by P Sinnefia. This filly has only been off the board once in 5 starts. 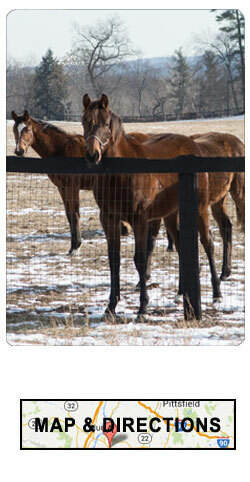 In December while still a 3-year-old, SOARING ROSA, won her first start at Penn National in a MSW going 6 furlongs. She has added a second win going 6 furlongs again at Penn National winning by 4 lengths. Today racing a PARX she won her third race coming on strongly to clear the field, She has earned over $116,000. SOARING ROSA is trained by Heather Hollahan and owned by Edward Stevenson. She was bred by Cavanaugh Breen, LLC. LADY RULLAH won her second going 6 furlongs at Aqueduct for owners Steve Linden, Jay Rosendfeld, Glen Abraham and Patrick Martina, Jr. The 4 year old filly is trained by Carlos F. Martin. She waited inside behind horses and then made her way outside to clear the field. 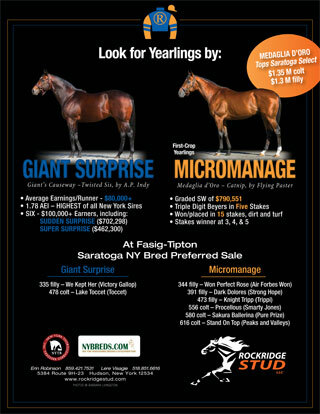 MICROMANAGE will have first yearlings this year. 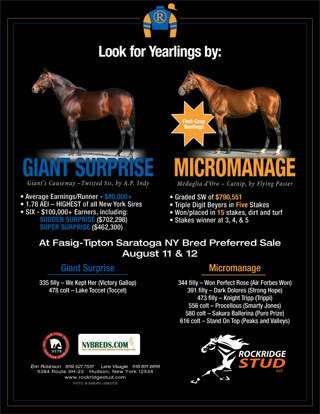 Please watch for them at the upcoming yearlings sales. As a 2-year-old BELLEVILLE SPRING (Trinniberg) almost got the job done in the NYSS Great White Way at Aqueduct. He came on and fought gamely to the wire but had to settle for 2nd by a neck. 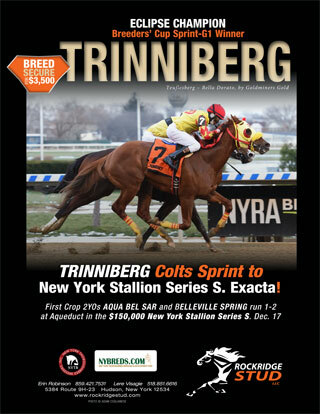 The Phil Birsh homebred gelding broke his maiden today as a newly turned 3-year-old racing 6 furlongs at Aqueduct. He has already pocketed over $85,000. 2 races later 3-year-old filly VELVET TRINNI held on the graduate also racing 6 furlongs,, She is a Lisas Racing Inc homebred trained by Bisnath Parboo. The inrerestingly named filly LOST ON THE STAIRS broke her maiden at Laurel sprinting 5 1/2 furlongs and wiring the field. 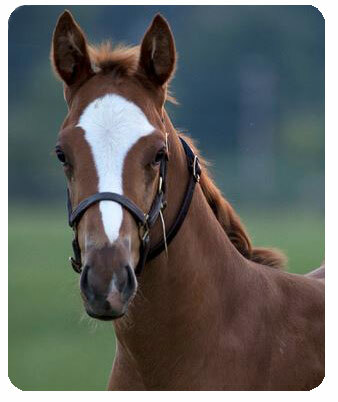 She was claimed out of that race and we wish her new connections the best, The filly was bred by Fountain Spring Stable & Donna Sammons. 5384 Rt. 9H/23 Hudson, N.Y. 12534. 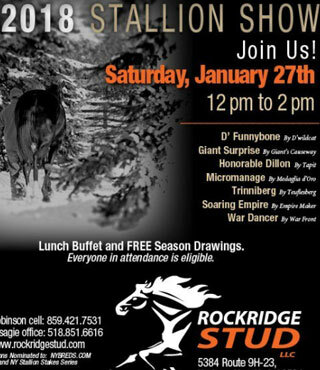 Noon-2 p.m., Saturday, Jan. 27. Lunch buffet, opportunity to win free seasons. 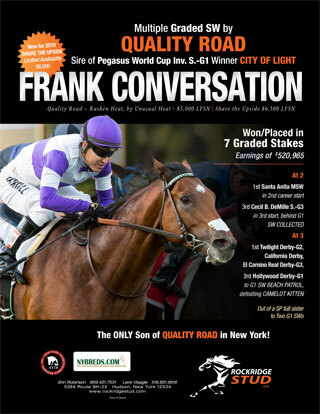 3-year-old gelding, PECULIAR SENSATION won at Aqueduct going 7 furlongs and upped his earning over $87,000. He was claimed out of the race and we wish his new connections the best of luck with him.